Sand City is known for its funky, independent and artistic atmosphere, and nowhere is that more on display than the West End Celebration. The streets of Sand City shut down and become an open-air artists&apos; fair, showcasing truly unique works from local artists accompanied by all sorts of live bands, food and wine. 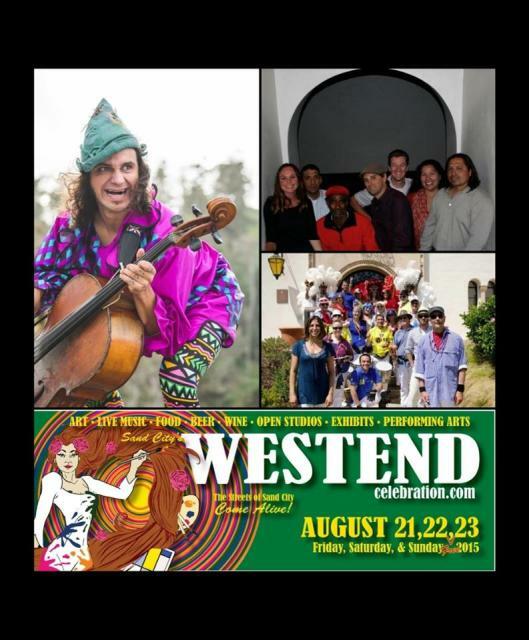 2015&apos;s musical acts include Ry Bradley, the California Honeydrops, Red Beans & Rice and many more! Friday-Sunday. Sand City. Free event. NBC&apos;s Last Comic Standing Nick Guerra, brings his standup comedy act to Planet Gemini Friday and Saturday nights! Stay afterwards for karaoke and dancing. Friday and Saturday at 9:15pm. 2110 Fremont Street, Monterey. $10-$15. Who doesn’t love a good Buddy Holly, Elvis and Little Richard impersonation? The gang is all here this weekend at the Golden Bough Theatre in Carmel-by-the-Sea. This tribute concert also includes songs by Simon & Garfunkle, Bob Dylan, and The Mamas and Papas. Friday and Saturday at 7:30pm and Sunday at 2pm. Monte Verde between 8th and 9th, Carmel-by-the-Sea. $8-$42. Transport yourself to Istanbul right in Custom House Plaza! 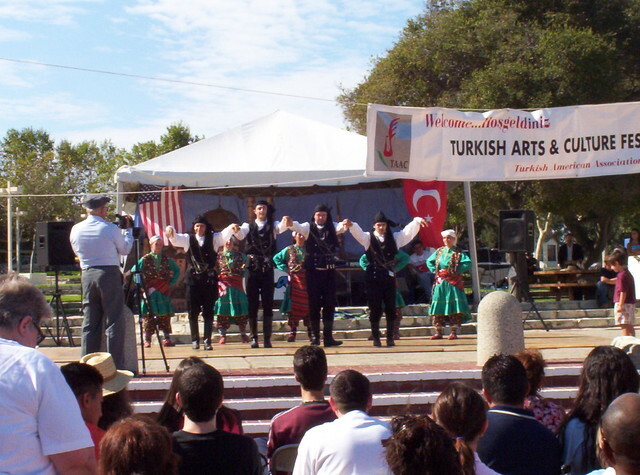 The Turkish Festival features all sorts of entertainment including folk dancing and music, belly dancing, children’s craft booths, a program of cultural presentations, food and more. Saturday-Sunday from 11am-7pm. 4 Custom House Plaza, Monterey. Free event. The Monterey Bay Aquarium stays up past its bedtime Saturday and Sunday nights for Evenings by the Bay. This fun summer series extends its normal hours to 8pm and offers delicious sustainable seafood bites, wine tastings and live music. On Saturday, classic rock group the Wharf Rats perform and on Sunday jazz musician David Morwood performs. Saturday and Sunday from 6pm-8pm. 886 Cannery Row, Monterey. Free with paid admission. Set out on an invigorating hike through Asilomar State Beach in Pacific Grove this afternoon with a guide from the California Parks Department. The easy, yet brisk, hike will last one hour and meets at the flagpole near Hearst Hall at the Asilomar Conference Grounds. 5pm-6pm. 800 Asilomar Avenue, Pacific Grove. Free event. Tonight Carmel Plaza continues with their popular Summer Live Music Series with music from Steve Ezzo. Nearby Cantinetta Luca provides yummy appetizers while Carmel Road Winery pours luscious wines. 5pm-7pm. Ocean Avenue and Mission Street, Carmel-by-the-Sea. Free event admission and $15 for food and drink package. What better way to start your weekend then with a stunning sunset at Asilomar Conference Grounds? Every Friday throughout the summer the iconic property opens its doors for Sunset on the Deck. Phoebe&apos;s Cafe and deck will feature live entertainment, weekly grill specials, craft beers, regional wines, and cocktails. Tonight’s featured musician is Geoffrey Rutledge. 6:30pm. 800 Asilomar Avenue, Pacific Grove. Free event. Kick off your weekend at Cannery Row Brewing Company with live reggae music from Reinstated and a few brews. 9pm-11pm. 95 Prescott Avenue, Monterey. Free event. Start your morning off at sunny Earthbound Farms in Carmel Valley! Today they harvest beautiful organic flowers and herbs with Farm Manager Janna Jo Williams during the Organic Herb and Flower Harvest Walk. Each participant leaves with a bumper crop of freshly harvested organic herbs and flowers. 10am-12pm. 7250 Carmel Valley Road, Carmel. $20 for adults. Join Patrick W. Flanigan at the Pacific Grove Museum of Natural History this afternoon. The physician and author will be reading from a few of his books including “Surviving the Storm,” and “Milk and Coffee,” and will be available for Q&A. 3pm-5pm. 165 Forest Avenue, Pacific Grove. Free event. Put on your cowboy boots and head to Carmel Valley Village for the 4th Annual Party in the Village at Hidden Valley Music Seminars! Enjoy live music from the Los Vaqueros Hunting Club Traveling Band and the California Cowboys. There will also be plenty of food, wine and a live auction. 6:30pm. 88 West Carmel Valley Road, Carmel Valley. $25. Get your fix of live music at Fernwood Tavern in Big Sur. Tonight the Tom Llis Disco Quartet performs. 10pm. 47200 Highway 1, Big Sur. Free Event. Indulge in an array of Jewish comfort foods at the Jewish Food Festival at Congregation Beth Israel in Carmel. 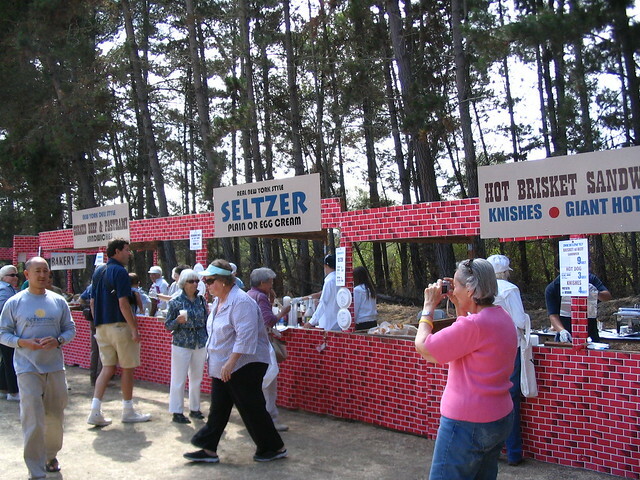 Savor "Jewish Soul Foods", including corned beef, and pastrami sandwiches, brisket, blintzes, kugel, potato latkes, matzo ball soup, chopped chicken liver, desserts, and much more. There will also be plenty of live music and dancing. 10:30am-4pm. 5716 Carmel Valley Road, Carmel. Free admission.